Among countless motorcycle enthusiasts, heritage matters. 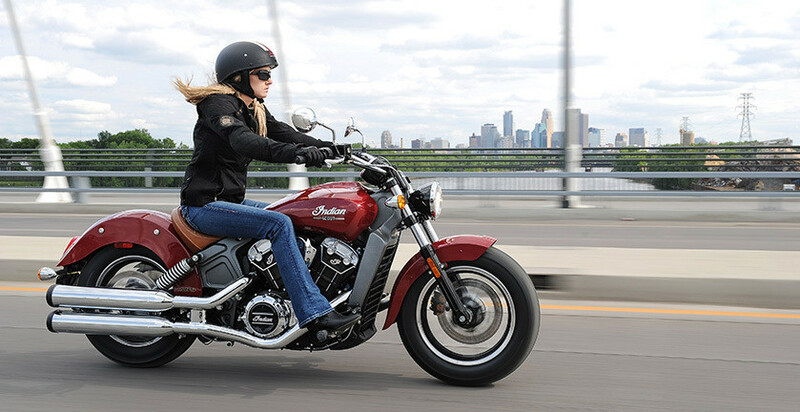 A bike’s pedigree is often a key selling point, and the legacy of a manufacturer can stir brand loyalty that lasts throughout a rider’s two-wheeling life. However, the presence of a storied past doesn’t mean that builders have shied away from the engineering marvels of the 21st century; in fact, the opposite is true. Futuristic improvements like the electronic throttle and adaptive headlights are continually finding their ways onto modern motorcycles, though it’s understandable if you haven’t noticed: manufacturers take great pains to integrate this technology as subtly as possible in order to maintain that “timeless” appearance their fans know and love. We teamed up with Allstate® to explore today’s most futuristic motorcycle technologies that help make riding easier for beginners and give experienced riders greater flexibility and control when taking on the open road. One of the most noticeable differences between modern motorcycles and bikes of yore is invisible to the naked eye. 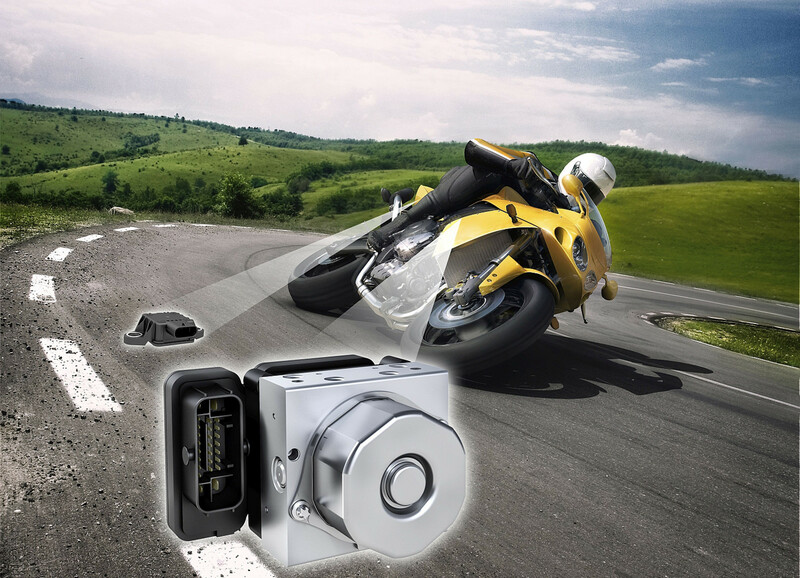 Electronic throttle control, also known as ride-by-wire technology, makes turning the throttle -- an action that controls how much fuel enters the engine -- an electronic mechanism rather than a cable-driven one. 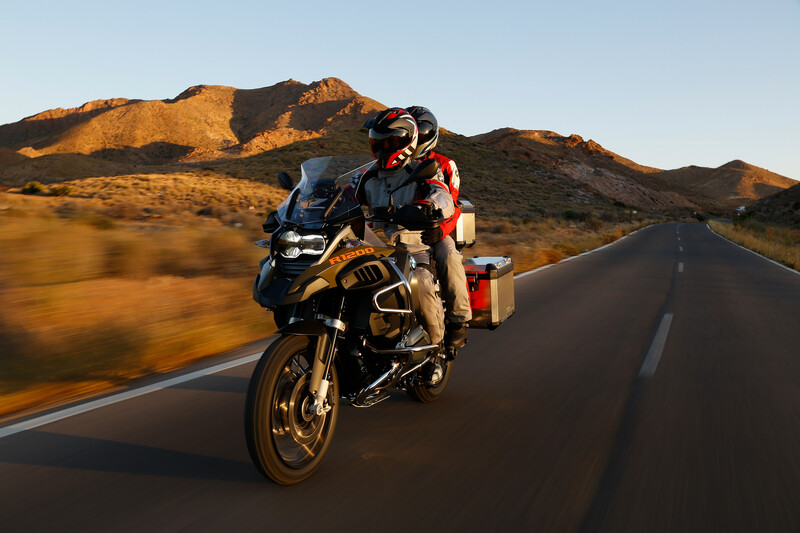 Instead of the rider having direct one-to-one control over the engine, which can lead to stalls and sudden losses of control, ride-by-wire sends an electric signal from the throttle to a small computer, known as an ECU, which takes into account how much throttle, or engine power, the rider wants and compares it to the current engine speed, the speed of the bike itself, and what gear is selected before evaluating how much throttle to actually release. The result: Far greater control over the engine, which makes for a far smoother riding experience for both beginners and experts alike. Ride-by-wire also allows manufacturers to implement riding modes commonly found on cars, like “Eco” and “Sport,” which afford riders better performance and fuel economy. If driving a car after sunset makes you feel uncomfortable, that feeling can be twice as strong while cruising on a bike past dusk. New riders often choose to put off riding in the dark because, in addition to the hazards of daytime riding, they also have to take into account decreased visibility, animals on the road and decreased temperatures. Corners and turns are especially challenging since headlights only illuminate a portion of the turn, making potential dangers like a stalled vehicle or a pothole even more dangerous. 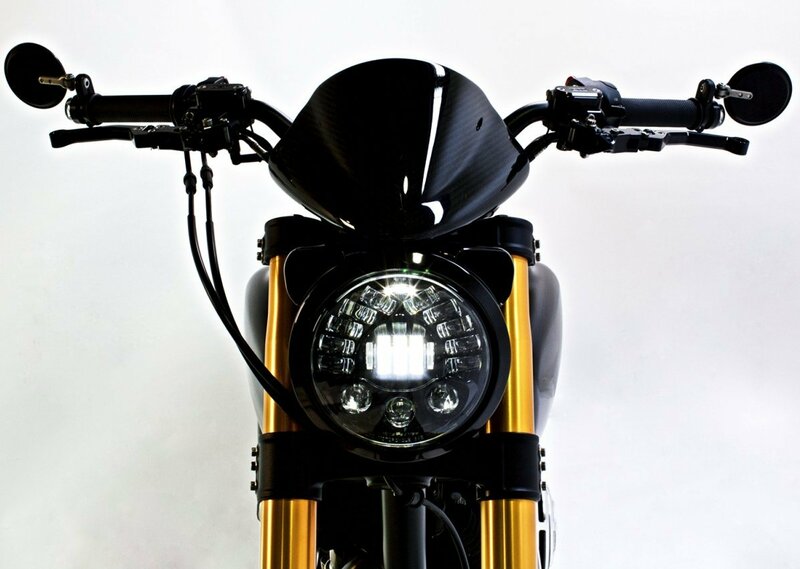 This is where adaptive motorcycle headlights, such as those made by Milwaukee-based firm J.W. Speaker, come in. As the motorcycle leans into a curve, the onboard sensors of an adaptive headlight calculate the lean angle (the angle at which the motorcycle enters the curve) and uses it to determine where to direct the lighting array, dynamically illuminating dark areas that traditional headlights would ordinarily miss. According to the American Automobile Association, adaptive headlights have the potential to provide up to a 90 percent safety benefit to 90 percent of crashes that occur on curves at night -- an encouraging safety improvement for nighttime riders. Touchscreens have come to dominate the tech world -- a trend that has made its way to cars, power boats and even airplane cockpits. However, touchscreens don’t make much sense for motorcycles, as riding requires looking straight-ahead and having both hands firmly planted on the handlebar. That’s why phones and GPS navigation are things riders typically only check when they’re stationary. Until now. Thanks to advancements in AR, or Augmented Reality, and voice recognition, motorcyclists can now don highly futuristic helmets that allow them to place phone calls, use their GPS and listen to music, all without lifting a finger. 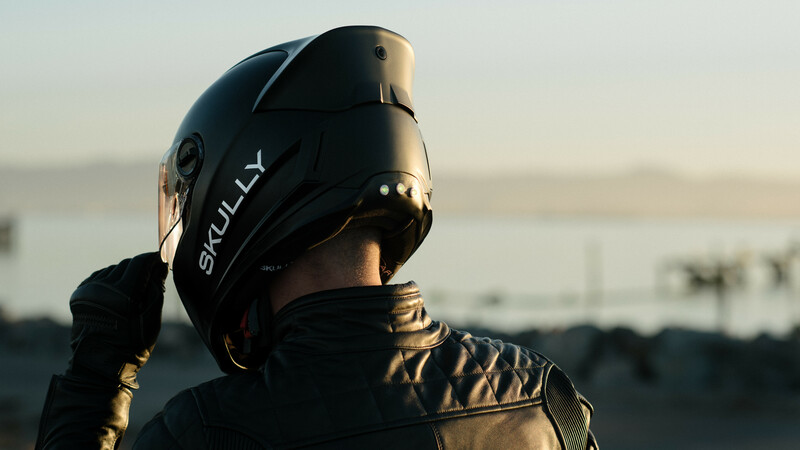 One such helmet, the AR-1 made by Skully, a Silicon Valley–based startup, even has a rear-facing camera that projects a live feed of onto the rider’s field-of-view, allowing the rider to be fully aware of the surroundings at all times. While some people love a loud, roaring engine on their bike, a growing number of motorcyclists are opting for a milder alternative. Instead of traditional air-cooled engines, liquid-cooled engines are taking over. Rather than sporting fins on the exterior of an exposed engine, liquid-cooled engines have a streamlined and closed design, which produces less noise and heat. They also run much cooler than their air-cooled counterparts, which helps prevent overheating and, consequently, engine damage. And they transfer heat to a radiator near the front of the bike, unlike air-cooled engines, which dissipate heat directly through the fins, making the riding experience more comfortable during hot summer days or gridlocked traffic. Most importantly, liquid-cooled engines cool the hot spots on the cylinders evenly, creating better efficiency in detonation control (how well the cylinders convert fuel into mechanical energy), netting higher performance. While not futuristic per se, the application of liquid-cooled engines into motorcycles represents a tremendous leap forward for the motorcycle industry, which has long been dominated by air-cooled engines. Maintaining stability is one of the first things motorcycle instructors teach new riders, and for good reason: Unlike driving a car, where all four wheels maintain constant contact with the road without any effort, a motorcycle rider actively prevents his bike from falling over. Although steering dampers, shock absorbers and quality tires help, sometimes they’re not enough to prevent the bike from skidding when faced with adverse weather and terrain. Now that you have the technology to ride your motorcycle in confidence, let Allstate® help you protect it. CORRECTION: This story previously described electronic throttle control incorrectly as a cable-driven mechanism.